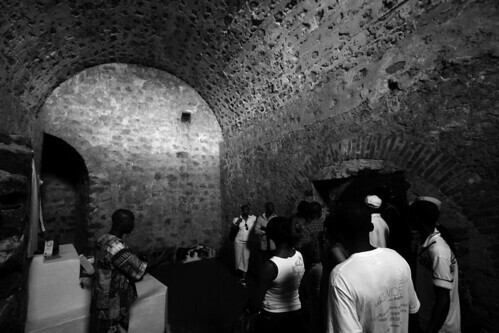 We followed a guided tour into the slave dungeons. There were several African-Americans in the group. We were all quiet, reduced to silence by the ghosts and the sadness thick in the musty air. and we have primarily the british to thank for this dastardly trade.London was built on the proceeds of this despicable trade.